Do you ever cook food that is so simple and yet so SPECTACULAR that you can’t actually believe you made it just for 3 naughty children (being my children, and actually they’ve been pretty well behaved today) and a perpetually exhausted mum (that’s me) and a dad who will be home at some stage … but you are not quite sure when … because he said something in the morning about being late, but you weren’t listening properly because you were making lunches and cleaning up after breakfast and brushing hair all at the same time, and now his phone is going directly to messagebank? (that’s Clive obviously). 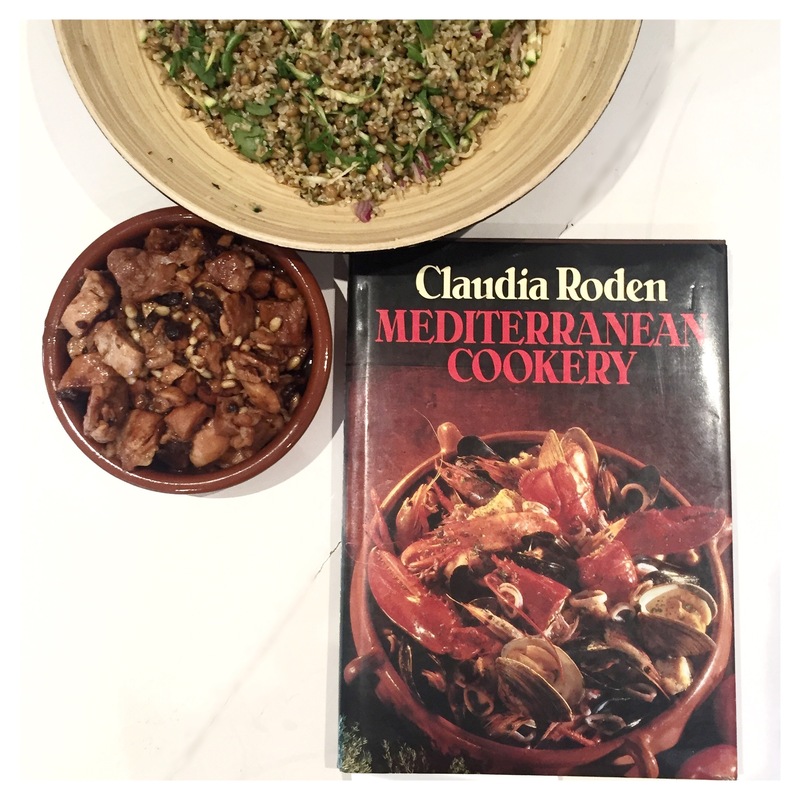 Anyway … I was thinking about Greek menu ideas for Community Lunch next Friday at work, and was thumbing through Claudia Roden’s ‘Mediterranean Cookery’ (published way back in 1987) for ideas, when I spotted this recipe and was inspired to make it for dinner. Not Greek but Spanish. But man! Those Catalans know how to eat! I served it with a freekah salad that included grated zucchini and lentils and red onion, rocket and coriander … and a lemon, garlic and pomegranate dressing. It was perfect. Seriously, do yourself a favour and rehydrate those skanky raisins at the back of your cupboard in a cup of dry sherry and prepare to be AMAZED! Soak the raisins in the sherry. 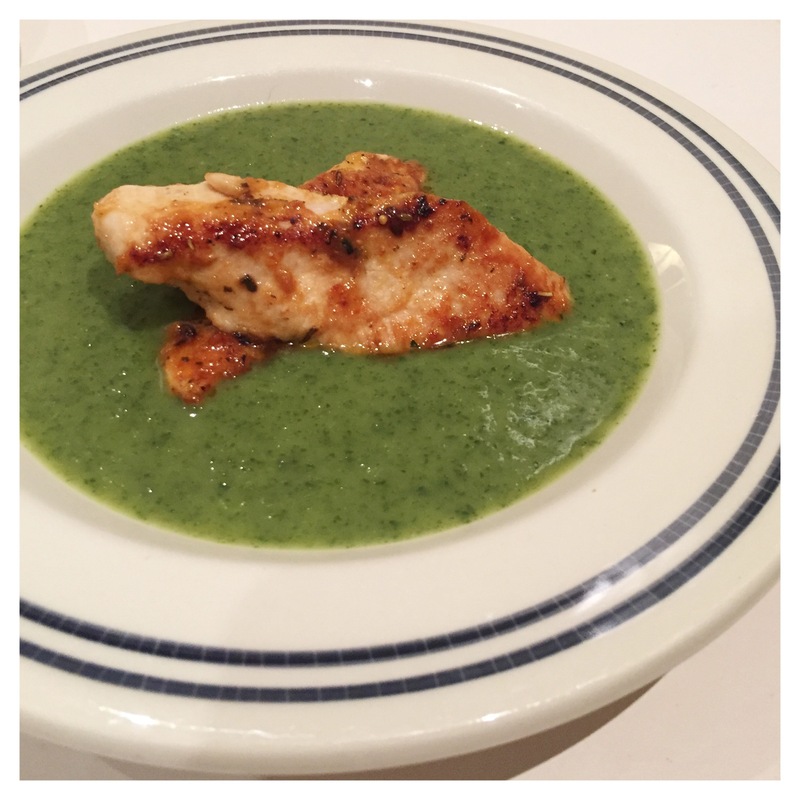 Heat the butter and oil in a frying pan and when it sizzles add the chicken. Cook for a few minutes until lightly browned, turning at least once. Lower the heat and add salt and pepper, sherry and raisins and simmer gently, covered for 20 minutes. Make sure the bottom doesn’t stick and add water if necessary. Dry fry the almonds or pine nuts in another frying pan until lightly coloured, then stir into the chicken. I’ve said it before, and I’ll say it again … oh Claudia, I love you! On Thursday I half tuned-in to a TV show about diets and listened to someone talk about how eating a high fibre diet increases the microbiotic flora in the gut (or something along these lines) which in turn makes your gut talk to your brain and you might have a better chance of being skinny? I am not necessarily convinced to take the leap of faith from point 1 to point 2 but it would be good … And as I polished off the previous night’s pizza for breakfast Friday morning I thought about how I definitely do feel better in myself generally when I am eating a high fibre diet. Muesli with yoghurt and dash of milk makes me happy in the morning. I look forward to it (not as much as cold pizza, but everyone knows that pizza is a ridiculous breakfast staple). And I thought about my friend Cate who makes her own muesli. And I thought about my other friend Kate who, after seeing me eat raisin toast on a holiday in McCrae will happily share with you that ‘sultanas definitely do make me cranky’. 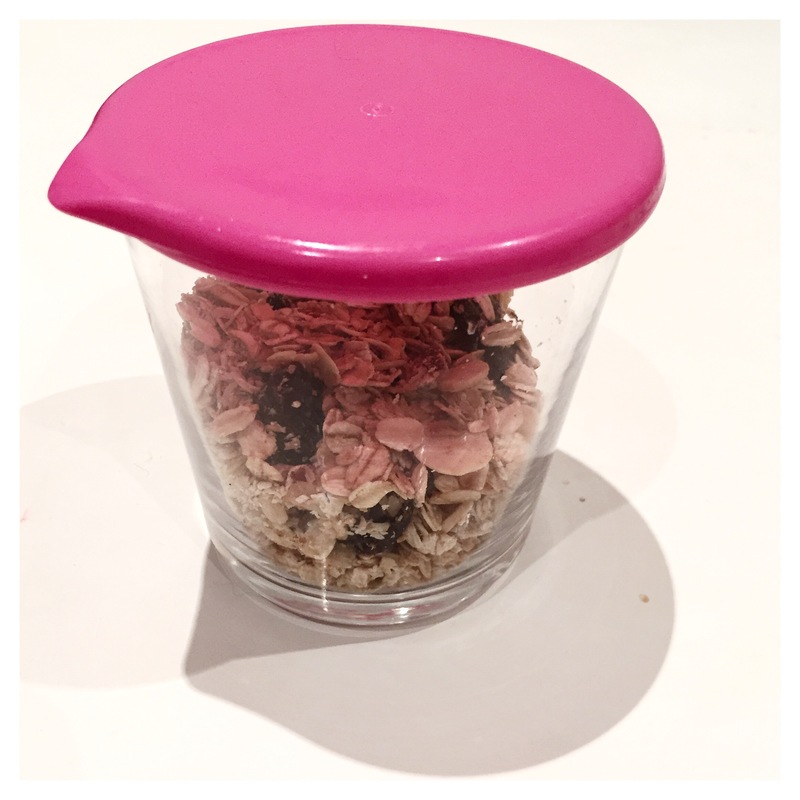 So … inspired I looked up how to make my own muesli … and went shopping for the ingredients … and ta-da! I bought everything at Aldi. They didn’t have pepitas – which I wanted to include. Never mind. Combine the dry ingredients. Combine the wet ingredients. Mix together thoroughly. Spread out on 2 baking trays lined with baking paper. Bake for 30 minutes at 180 degrees Celsius. Cool. Then put in an airtight container. Then eat. It’s pretty good if I do say so myself. Next time I might use 1/4 cup of maple syrup and add in 1/2 cup pepitas. In my bid for fibrosity (is this a word?) I also bought leaks and chickpeas (which both featured strongly in the show) along with lentils and celery and onions and tomato and zucchini and the ingredients for a Mexican feast (heavy on the beans, light on the cheese). This week the microbes in my lower intestine will be flourishing for sure! And I’ll let you know if I drop the 5kg I could definitely afford to lose.